HOTSPUR, designed by Linton Rigg and built by Casey Baldwin for Yachting’s Alf Loomis is for sale for only the second time in her ninety years. 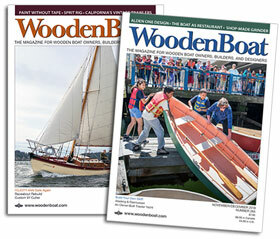 Numerous books and articles in Yachting and WoodenBoat recount her history. Sailed out of Oxford, Maryland for the past forty years, she provides accommodations for a family of four and is traditionally equipped for cruising. Further history, description and photos of this historic boat are in WoodenBoat, May/June 2017, No 256. HOTSPUR.